Jocelyn Downie calls for facts, not fiction, to guide public policy on Bill 52. 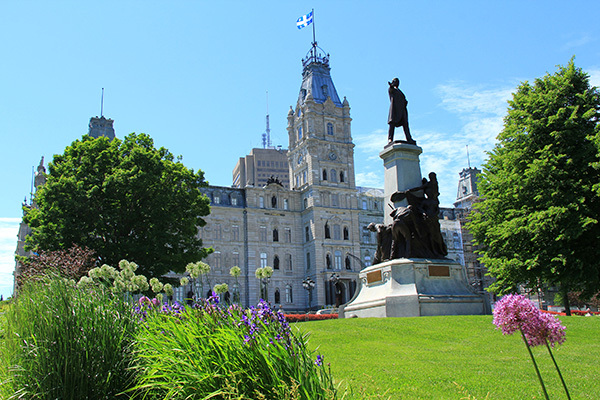 On November 5, 2013, the Montreal Gazette published an opinion piece about Quebec’s Bill 52 written by Derek Miedema. This piece, published with the inflammatory headline “ ‘Medical aid in dying’ leads to more and more killings” makes a number of false claims about what happens in the Netherlands, Belgium, Oregon, and Washington State – places that have legalized various forms of aid in dying. In this, it is similar to a number of other recent opinion pieces, letters to the editor, and press conferences and so it warrants a response. In fact, Bill 52 (An Act respecting end-of-life care) explicitly addresses the issue of access to palliative care and would provide Quebeckers what nobody else in the rest of Canada would have – the right, explicitly recognized in law, to receive end-of-life care which includes palliative care. It requires health care institutions to “offer a private room to every patient who is receiving end-of-life care in its facilities and whose death is imminent”, it compels institutions to offer palliative care to everyone requiring it, and it introduces transparency re: accessibility of palliative care by requiring reporting on the number of patients who received palliative care. In fact, Bill 52 is limited to cases of exceptional suffering. To access medical aid in dying, a patient must: “suffer from an incurable serious illness; suffer from an advanced state of irreversible decline in capability; and suffer from constant and unbearable physical or psychological pain which cannot be relieved in a manner the person deems tolerable.” (s.26) It is essential to note that this list is cumulative –Miedema mistakenly assumes (and suggests in his 8-page paper on the topic) that each element alone could be sufficient. In fact, the legal criteria for accessing aid in dying in the Netherlands, Belgium, Oregon, and Washington State have not changed since the legislation was introduced in each of these jurisdictions. Canadians who are troubled by the blizzard of conflicting claims about slippery slopes in jurisdictions that permit aid in dying would do well to turn away from opinion pieces from non-experts in favour of more reliable sources of information. Derek Miedema’s profile on the Gazette website states “He is the author of No Second Chances, a book about international experience with legal euthanasia.” When the opinion piece was first published, this statement was also made in his byline. It is repeated elsewhere on the web. In fact, No Second Chances is not a book, nor is it even a peer-reviewed paper. It is, rather, an 8-page paper disseminated through the website of the Institute of Family and Marriage. Justice Smith’s analysis of the evidence is set out in her judgment which is available here. The legislation from the Netherlands, Belgium, Oregon, and Washington State are available here. Official sources of data on the consequences of medical aid in dying are available here. Before coming to conclusions about whether Bill 52 should be passed, Quebeckers (legislators and the public alike) should carefully consider available, reliable sources of information. Facts, not fiction, should guide public opinion and public policy. the subject of undue influence or misapprehension”. Source : United Nations, Human rights committee, Considerations of reports submitted by states parties under article 40 of the covenant : concluding observations of the human rights committee, ninety-sixth session, Netherlands, 25 august 2009, par.7 (CCPR/C/NLD/CO/4). “The age groups called to grow most quickly are the ones for which the use of social services and health cares is the highest. The resources per capita dedicated to the elderly aged 65 or more are about 3.7 times higher than the average of age groups. For people aged 85 or more, it is 7.7 times more per capita than the average population. The concentration of health care and social services spending at the end of life is particularly obvious for the services mainly offered to the elderly in loss of autonomy (…) which costs drastically increase from age 70″(our translation). “I would not suggest that the best way to improve the fiscal situation of Canada is to introduce a non-voluntary program of euthanasia for people over the age of 70”. « Declining youth populations in Western societies could become increasingly dissatisfied with their economically burdensome ‘baby-boomer’ elders, among whom much of societies’ wealth would be concentrated. Resentful at a generation whose values appear to be out of step with tightening resource constraints, the young might seek a return to an order provided by more conservative values and structures. This could lead to a civic renaissance, with strict penalties for those failing to fulfil their social obligations. IT MIGHT ALSO OPEN THE WAY TO POLICIES WHICH PERMIT EUTHANASIA AS A MEANS TO REDUCE THE BURDEN OF CARE FOR THE ELDERLY ». Japan is considering euthanasia as a solution to the economic burden posed by population aging on society. “Kamisar expresses distress at a concluding remark in my book in which I advert to the possibility of old people becoming an overwhelming burden on mankind. I share his feeling that there are profoundly disturbing possibilities here ; and if I had been merely a propagandist, intent upon securing agreement for a specific measure of law reform, I should have done wisely to have omitted all reference to this subject. Since, however, I am merely an academic writer, trying to bring such intelligence as I have to bear on moral and social issues, I deemed the topic too important and threatening to leave without a word”. Source: Glanville Williams, « “Mercy- Killing” Legislation – A Rejoinder » (1958) 43 (1) Minn . L. Rev . 1 p.11 . Professor Downie, paragraph by paragraph, shows how biased a majority of opponents are concerning medical aid in dying and Bill 52, since much of what Mr Miedema wrote simply echoes the half-truths or false informations repeatedly written or voiced by those who want their beliefs be the law of all. This is a great service to both Quebecers and Canadians who wish to reflect on this serious matter with an open mind and compassion.